In July, I wrote a piece on possibilities for bringing digital diplomacy into the classroom, so this year, I am making it a point to follow through with some of those ideas. Some times, as teachers, we have really great ideas that we want to try, but once the school year starts, we go into survival mode and forget about how we’re going to transform our classrooms to become the next John Keating. Due to my interest, however, in digital diplomacy, I have tried hard to actually bring my ideas to fruition. To formally introduce students to the concept, I am going to give them two handouts- 1) excerpts from Twitter for Diplomats, by Andreas Sandre, who works for the Italian Embassy to the United States, and 2) the “Executive Summary” from Twiplomacy Study 2014. After reading them, students should be able to explain what digital diplomacy is and the difference between using social media as a tool for information versus a tool for engagement (one-way communication vs two-way communication). The next step is to show them how digital diplomacy is being discussed today by its practitioners. First, I plan on telling them about the Stockholm Initiative for Digital Diplomacy. This is a great example of how states from around the world are coming together to discuss the possibilities on using social media as a tool for diplomacy. Next, I am going to show them the UK FCO’s website for social media policy, and focus on what they say about why social media matters. After that, I plan on showing them the video of the G+ Hangout, “Should Leaders Tweet Personally,” hosted by Matthias Lüfkens of Twiplomacy. Instead of me summarizing here what the participants said about the topic, you can read my brief thoughts on it from an earlier piece, “US Ambassadors to Europe on Twitter.” I will also show them that there are a handful of other videos about the topic on YouTube, but due to time constraints, I plan on only actually showing the one. By now, students should understand what digital diplomacy is, so the next step is to show them the magnitude of the social media presence by a few ministries of foreign affairs. Since we’re here in the US and the course is on US foreign policy, I plan on starting with the State Department’s “Global Social Media Presence.” The list of channels should give them a good idea of the role social media plays in both spreading US policy and sharing American culture around the globe. Since I will have shown them the FCO’s website, I’ll follow that up with their site that lists their accounts. 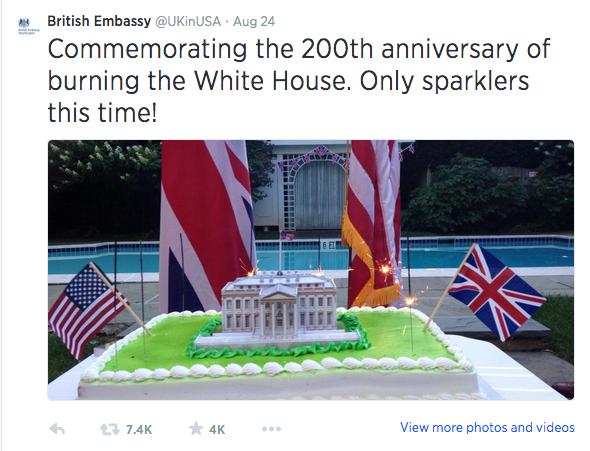 As I mentioned in an earlier piece, “European Ambassadors to the US on Twitter,” I really like how the France MFA, Italian Embassy to the US, and the Netherlands MFA have found different ways of sharing social media with followers; so, I plan on showing those sites as well. Finally, given the prevalence of Russia in current world news, I plan on showing students the Russian MFA’s site for their social media. I’m sure that other countries have done some pretty interesting things to showcase their use of social media for digital diplomacy, but as I’ve already mentioned, I do not have the time to go through all of them (if you know of one that I should absolutely add to my list, however, please let me know). By the end of this part, students will pick a few social media accounts to follow to begin looking at the ways embassies or MFA’s use it. The final step in all of this is to actually talk with the practitioners themselves. So far, I have lined up Skype sessions with the following: Graham Lampa of the US State Department, Andreas Sandre of the Italian Embassy to the US, and Lithuania’s Ambassador to the US, Zygimantas Pavilionis. I have reached out to the US Ambassador to Lithuania, Deborah McCarthy, but I am still waiting to hear back from her. Once we get closer to our unit on present-day foreign policy, I hope to have a Skype session with the US Mission to NATO. The big question now is, will it work? Will students see that social media can be used as an effective tool for information and engagement? Or, will they see this as an attempt to take away the “fun” from their use of social media? Will they become more interested in foreign policy, and perhaps even in the world around them? I’ll let you know once the semester is over. If you work for an embassy or ministry of foreign affairs and want to reach out to US high school students to teach them about your country and its policies, culture, etc., please click on the “About” tab at the top of the page to see the various ways to contact me. **You may have noticed that all of the people I plan on talking to and the websites I plan on showing are either from the US or Europe. Given my passion and strong support for transatlantic relations, I am also using this unit to teach students about the importance of the transatlantic community.